As the post title already shows, I don't have a new mani today, but a review of the Born Pretty Store Pinapple Cuticle Oil. 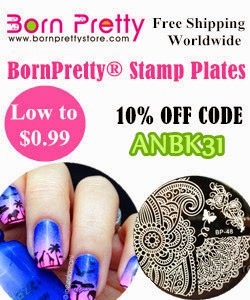 Thank you Born Pretty Store for offering me this item! The cuticle oil pen comes in a cute black cardboard box. The pen itself has a very shiny silver packaging and a brush about 5mm wide. The oil is slightly pink and smells pretty strong, but very nice. I wouldn't regocnize the scent as pineapple if I didn't know it, it smells very sweet, candy-like.If you turn the back of the pen, the oil is pumped into the brush, where you can apply it on your cuticles. I've been using it for about three weeks now on a daily basis. I always use cuticle oil before going to bed, so I didn't have very dry cuticles to start, and I couldn't tell a difference to the other cutile oils I've used before, so the oil does what it's supposed to do. The pen contains 2ml of the oil, but I can't tell you the ingredients, they are listed neither on the Born Pretty Store homepage nor on the packaging. Fot the price, I'd say it contains mineral oils. If you've got very sensitive skin, you might react to the strong fragrance, though. There are five different flavors to choose from, the pinapple I got plus peach, lavender, coconut or almond. You can get the pretty and very handy cutile oil pen here for 2.99$ (or the whole set of five fragrances for 10.99). 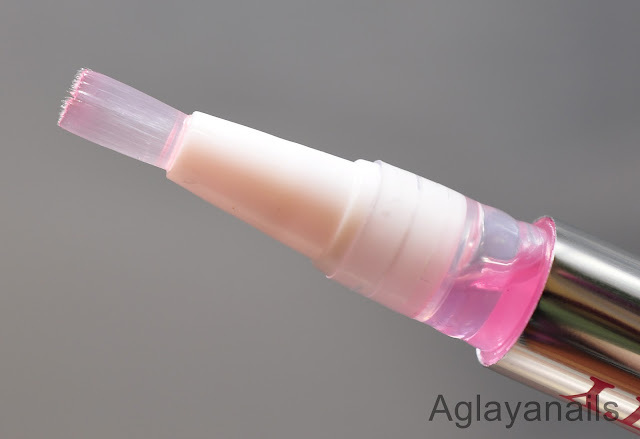 The cutile oil pen was offered for reviewing purposes. Again, thank you very much, Born Pretty Store!